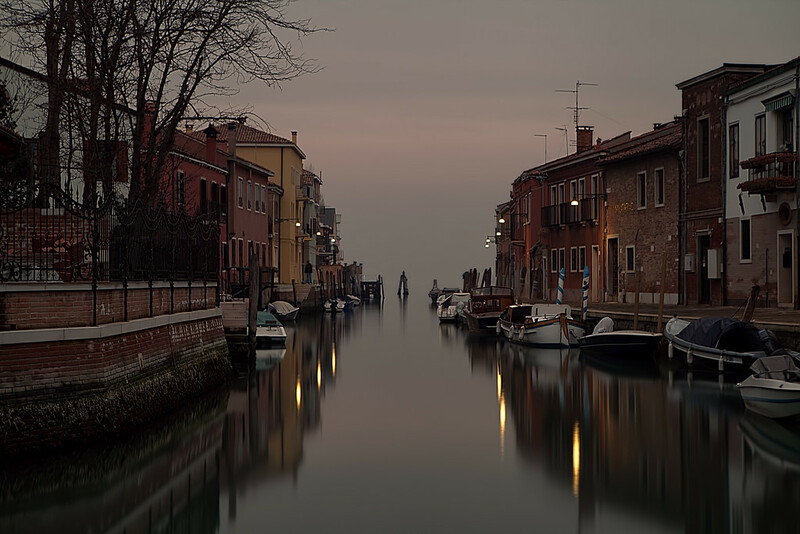 This particular canal is on the island of Murano which I visited as part of my trip to Venice. The sun had pretty much set by this point, and I liked the way the lights were starting to reflect on the canal. I also thought it was pretty awesome how the horizon seems to be non-existent and the water blends into sky. This was pretty much the last photo of the day when I took it, and is nicely the last photo of the week. See you next week, and have a great weekend.